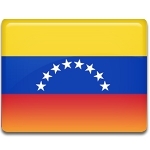 The first Spanish settlement in Venezuela was established in 1522. In the early 19th century, Spanish colonies in America began to fight against the Spanish Empire, hoping to gain independence. Venezuela was no exception. On April 19, 1810, the municipal council of Caracas overthrew the Spanish colonial authorities and established a junta. Other provinces of the Captaincy General of Venezuela followed suit. Eventually, ten provinces declared their independence from Spain, establishing the First Republic of Venezuela. However, it was only the beginning of the country's struggle for independence. The First Republic was lost in 1812. It was followed by the Second Republic, which was proclaimed in 1813 and ceased to exist in 1814. The Third Republic was established in 1817 by Simon Bolivar. In 1819, Venezuela won independence from Spain as part of Gran Colombia, a short-lived republic that included the territories of several present-day Latin American states. Venezuela finally became fully independent in 1830.